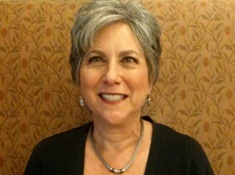 I’m very pleased to welcome Elaine Wolf today. She has offered to share her thoughts on her publishing journey and what inspired her to write her book, CAMP, published by Sky Pony Press (an imprint of SkyhorsePublishing). This YA novel tackles the issues of bullying, mothers and daughters, and the consequences of family secrets. For most girls, sleepaway camp is great fun. But for Amy Becker, it’s a nightmare. Amy, whose home life is in turmoil, is sent to Camp Takawanda for Girls for the first time as a teenager. Although Amy swears she hates her German-immigrant mother, who is unduly harsh with Amy’s autistic younger brother, Amy is less than thrilled about going to camp. At Takawanda she is subjected to a humiliating “initiation” and relentless bullying by the ringleader of the senior campers. As she struggles to stop the mean girls from tormenting her, Amy becomes more confident. Then a cousin reveals dark secrets about Amy’s mother’s past, which sets in motion a tragic event that changes Amy and her family forever. 1. What got you started into writing? I always loved to write, even as a child. When I grew up, I became a “closet writer.” I never shared my work, and I still have a “bits and pieces” file of story ideas, first sentences, and poems. And when I worked as the English language arts director for a public school district, I found lots of excuses to send memos to the staff––just so I could write! My husband encouraged me to enroll in a writers’ workshop at our library. Then came a Saturday morning short story class at a local university, followed by a series of summer workshops and writing conferences in New York City. And that did it! All I wanted was more time to write. So my husband, again, told me to go for it––this time by encouraging me to take an early retirement from the school district and to enroll in a novel writing class at The New School in New York. As I focused on the novel that became DANNY’S MOM (Arcade Publishing, November 2012), I joined other writers’ workshop programs, as well as a critique group. I’m so blessed to have such a supportive husband, whose favorite activity now is telling everyone about CAMP. And I can’t stop smiling! 2. Tell us a little about your journey in pursuing publication of CAMP. I’ll tell you the truth: the road to publication was long and hard. Six years ago when I signed with my agent, she said she loved CAMP and was eager to get it out on submission. But shortly after signing me on, my agent went out on her own, and CAMP submissions were delayed. However, I hung in there because I knew my agent loved the manuscript, and I believed that she would find the right home for CAMP. Once submissions started, several editors said that they, too, loved the manuscript but didn’t feel that bullying was a big enough story. So I put CAMP on hold and moved on to other writing projects. In 2011, five years after I signed with my agent (see, I told you the road was long! ), I asked her to please try once more because bullying was now front and center in the news. My agent put CAMP out there again. And this time, CAMP sold quickly. And then DANNY’S MOM (also with a strong bullying theme) sold to Arcade Publishing, another Skyhorse imprint. Now I’m known as “the anti-bullying novelist.” And I’m thrilled that I’ll have two novels published this year! I hope you’ll check out my website (authorelainewolf.com) for information about both books, as well as for anti-bullying resources. 3. As a teacher and mom myself, I’ve really seen how bullying is such an issue with kids, not just here in the States, but world-wide. I love how you tackled this issue in such a unique way through the setting and the characters. What inspired this? Thanks! I’m glad you love how I “tackled this issue in such a unique way through the setting and characters.” But, truth be told, I didn’t set out to write a bullying novel; I just wanted to write a compelling story. So I started with a character, 14-year-old Amy Becker, who’s being shipped off to sleep-away camp for the first time. And, of course, I gave her lots of problems––because a happy, sing-around-the-campfire story isn’t very gripping. I believed that sleep-away camp would be a good backdrop for a coming-of-age story, and it’s a setting I know well. I was a camper and camp counselor for many summers. And, like Amy Becker, my uncle owned a camp in Maine. But that’s where the similarity ends. My uncle ran a terrific camp, where the bullying that happens in CAMP would have been stopped before it got out of control. The bullying in CAMP grew organically after a mean-girl character, Rory, stormed through my mind while I was writing the scene about Amy on the bus heading to the fictional Camp Takawanda for Girls. Rory’s voice was really loud in my head, so I just tried to get out of my own way and let the characters dictate the story. Once I had a timid first-time camper, Amy, and an alpha girl “queen of mean,” Rory, it was impossible not to write about bullying. Now CAMP is finding its way into schools for the fall, where the novel will be a springboard to conversations about bullying. And I sincerely hope that CAMP and DANNY’S MOM will lead to discussions that will make our camps and schools safer for all kids. 4. What has been the most difficult part for you in writing in general and how have you met that challenge? The most difficult challenge of this whole process was the “getting published part.” I was so happy while working on CAMP and DANNY’S MOM. But, I must admit, the “getting published part” left me frustrated and anxious. Yet I never gave up because the feedback from editors was overwhelmingly positive. I learned that getting published is not only about talent and perseverance; it’s also about timing. As they say, timing is everything. Check out Elaine on Twitter or her website. 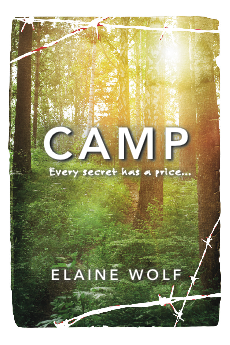 I will be giving away a copy of Elaine’s book, CAMP. Comment below to win a copy and tweet about this contest for an extra entry! I think it’s interesting that Ms Wolf says she didn’t set out to write a book about bullying, that she just let the characters take over and the story just emerged. Sounds like a great story! Definitely putting it on my wishlist. Timing is an incredibly important part of this whole journey! I love this great story of perserverance! Makes me realize how important it is to believe in your work and not give up on your manuscripts. Though the timing issue has me a little bummed, since I think its true and always seems to work against me. P.S. Don’t enter me in your contest, since I’ve already won a book from you recently. A timely topic. I’ve never understood bullying and am glad there are novels out there to help. I enjoyed reading this interview, Christina. Elaine’s books are timely now that the bullying issue is front and center. About time. This problem has been around way too long. It’s great that her books will be used in schools as a way to deal with the subject. I love to read about authors’ journeys and experiences. Each one is unique, and success stories always inspire me! Thanks for visiting my blog, Christina. I hope to get to know you now that we’ve connected in the blogosphere! This sounds like a fascinating book! I love the idea of using camp as a backdrop for a YA story. It’s a nice change from all the boarding school/high school backdrops out there! It really is a great book. And the perfect setting for a YA read. Thanks, Christina, for a great interview. I loved answering your questions. What fun! I really wish I could send a copy of CAMP to each of you who commented. I do hope you’ll treat yourself to one, and I hope you’ll find CAMP to be a great read. Please let me know what you think. You can reach me at elaine@authorelainewolf.com. My next novel, Danny’s Mom (Arcade Publishing), will be out in November. I hope you’ll look for it at your local bookstore or on Amazon or any of the online sites.